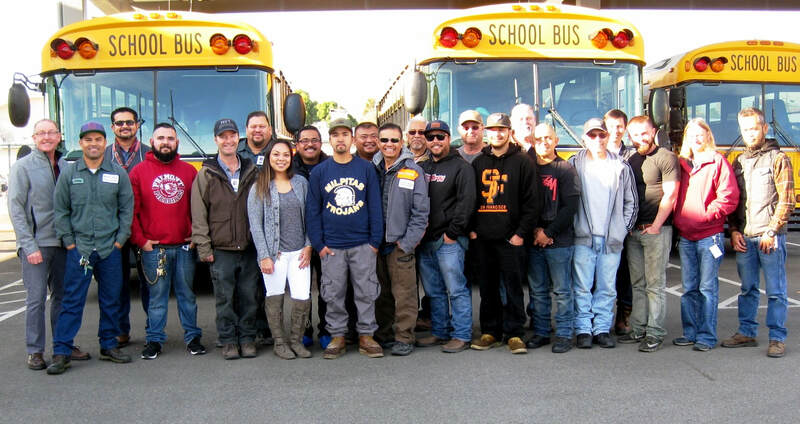 The Maintenance, Operations and Transportation (MOT) team is dedicated to providing a safe, high-quality learning environment for the students and staff in Milpitas Unified School District. Our maintenance staff strives to provide high levels of confidence by maintaining safe and secure environments for children to learn and play, while our grounds staff maintains a professional exterior and our well-trained bus drivers make it a priority to get students to school on time and ensure they arrive home safely. Supervisor; Mechanical & Electrical, HVAC/Maint. Volunteers worked with members of the MOT Team to spruce up Milpitas High School for Comcast Cares Day on April 22, 2017. Awesome job by the MOT Team Members putting together the new Soccer goals for Russell Middle School. Big shout out to Mike, Abner and Sherwin! It's Shark Territory here at MOT! In support of the Sharks playoffs, our leaders joined forces and vowed to not shave until the Sharks were defeated.